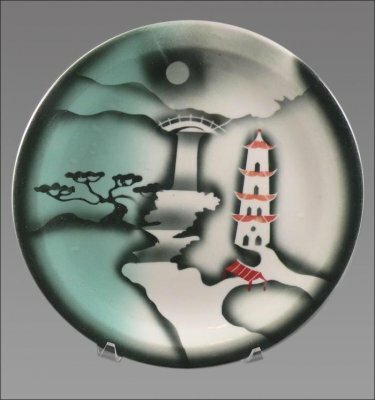 There is hardly a more recognizable restaurant ware pattern than Confucius, the striking Oriental pattern in red, charcoal and teal green that was airbrushed by TEPCO. It would have been made somewhere in the 1931-1968 date range. 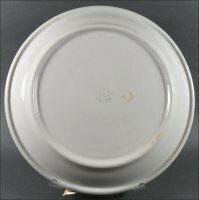 This dinner plate measures 9 3/8" in diameter and shows that it has been well used and well loved. 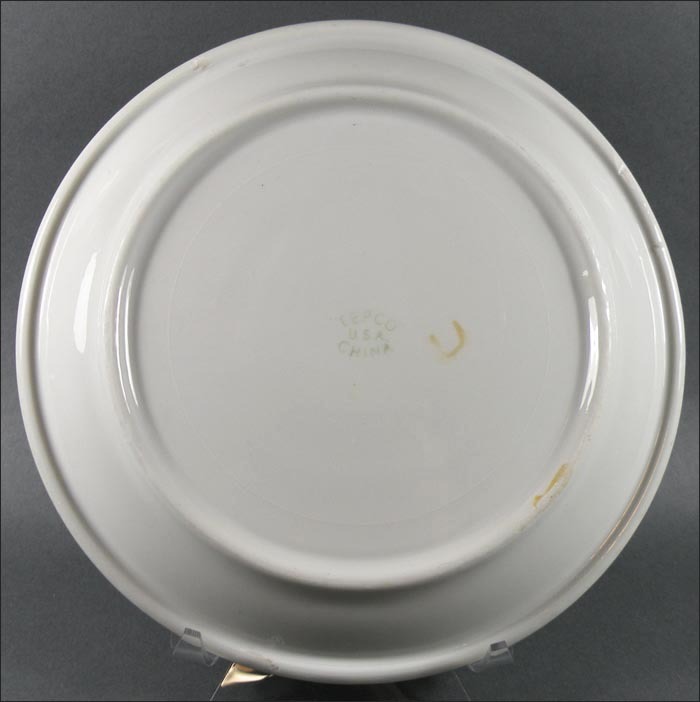 Overall, its condition is excellent with no chips or cracks, but it does have medium-to-heavy utensil wear and stacking marks, and there are some areas of glaze wear. With the use marks, this becomes a plate to take off the wall and use often, with no fear of damaging it. A perfect way to dress up a meal of takeout Chinese!